← Summer is on the way! Welcome to our next hand dyed yarn update! News of our next hand dyed yarn update which goes live on our website www.edencottageyarns.com at 8pm UK time. Yarns included will be: Pendle 4ply and Titus DK. Titus DK is a beautiful and subtle yarn. 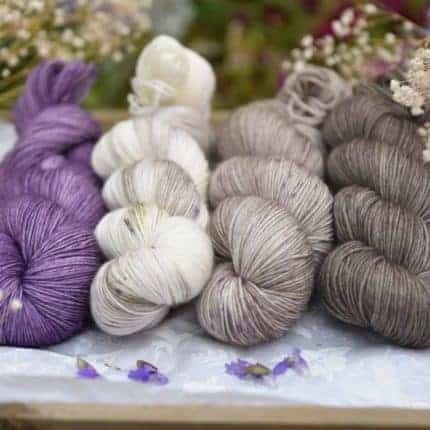 It is a very luxurious blend of superwash merino and mulberry silk. The silk gives it a gorgeous shine (especially in dark or rich colours). It is ideal for all sorts of projects, from gloves to garments and everything in between. It washes well in the machine, and the silk gives it strength so it can take a lot of use.